Three self contained villas with Beach frontage. Features: Full Kitchen, 6 seater corner chaise lounge, large dining table, TV/DVD in lounge; TV in main brm; reverse cycle air-con; ceiling fans, Main with QB & ensuite (linen supplied); 2nd brm: 2 x SB ( joined to make KB on request – linen supplied); 3rd brm: bunk beds (linen supplied); main bathroom with shower and toilet, large balcony with outdoor setting and gas bbq. Tandem parking for 2 Vehicles, extra vehicles/boats/trailers can park in the visitors parking. Two self contained villas with Beach frontage. Features: Large sofa in lounge room; TV/DVD in lounge; TV in main bedroom; kitchen with: full sized fridge; microwave; four burner gas cook top; all crockery and cooking utensils; QB in main brm; 2 x SB in 2nd brm (all linen supplied); ceiling fan; reverse cycle air-con; outdoor setting. Parking for 1 vehicle only – extra vehicle/boat/trailer to parked in the visitors car park. Two self contained spa villas on the Beachfront. 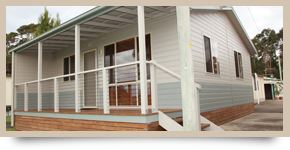 Features: Sofa in lounge room; full kitchen; TV/DVD in lounge; TV in main brm; QB in main brm (linen supplied); 1 x SB + 1 bunk style bed (linen provide on SB & lower bunk bed (NO linen/bedding supplied for top bunk); ceiling fan; reverse cycle air-con; bathroom with: corner spa #14 – bath spa #16, shower over bath; deck with outdoor setting. Parking for 1 vehicle only – extra vehicle/boat/trailer to parked in the visitors car park. One Self contained villa elevated for ocean views. 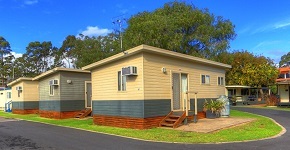 Features: Sofa in lounge room; TV/DVD in lounge; kitchen with: full sized fridge; microwave; four burner gas cook top; all crockery and cooking utensils; QB in main bedroom (linen supplied); Tri-bunk in 2nd brm (1 low, 2 high L-shaped singles (no linen/bedding is provided for 1 top bunk); shower over full size bath; ceiling fan; reverse cycle air-con, deck with outdoor setting. Parking for 1 vehicle only – extra vehicle/boat/trailer to be parked in the visitors car park. Six self contained villas with Beach frontage. 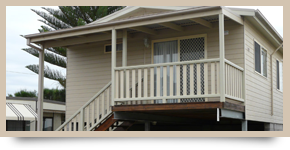 Features: Sofa in lounge room; full kitchen; TV/DVD in lounge; TV in main brm; QB in main brm (linen supplied); 1 x SB + 1 bunk style bed (linen provide on SB & lower bunk bed (NO linen/bedding supplied for top bunk); ceiling fan; reverse cycle air-con; full bathroom: shower over bath tub in #28&36; deck with outdoor setting. Parking for 1 vehicle only – extra vehicle/boat/trailer to be parked in the visitors car park. 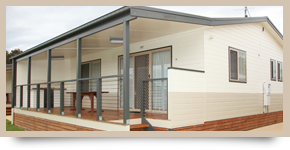 Seven self contained villas centrally located. 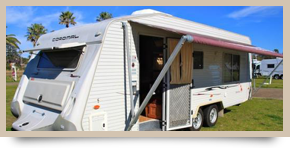 Features: Sofa in lounge room; TV/DVD; Full Kitchen; QB in Main Brm (linen supplied), 2nd brm (#1-5): 1 x SB + 1 bunk style bed (linen supplied on SB & lower bunk (NO linen/bedding supplied for top bunk); reverse cycle air-con; ceiling fan; deck with outdoor setting. Note: #40: 2nd brm 2xSB (linen supplied); #90: 2nd brm Tri-bunk (1 low, 2 high L-shaped singles (no linen/bedding is provided for 1 top bunk) & bathroom: shower over full size bath. Parking for 1 vehicle only – extra vehicle/boat/trailer to be parked in the visitors car park. Two self contained spa villas close to Beach. 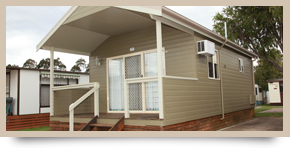 Features: Sofa in lounge room; full kitchen; TV/DVD in lounge; TV in main brm; Queen Bed (linen supplied); ceiling fan; reverse cycle air-con; bathroom with: corner spa; deck with outdoor setting. Parking for 1 vehicle only – extra vehicle/boat/trailer to be parked in the visitors car park. 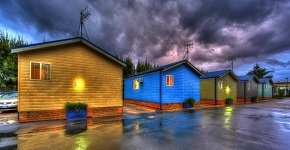 Four self contained villas close to the pool. Features: QB in Main (linen supplied) with ensuite; open plan kitchen/living area with lounge and bunks (NO linen OR bedding supplied for bunks); TV/DVD; kitchenette; ceiling fan; reverse-cycle air-con; outdoor setting. Parking for 1 Vehicle only, extra vehicles/boats/trailers can park in the visitors parking. Great sites positioned just a “stone’s throw” from Corrigan’s Beach! 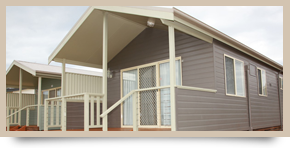 Features:- grassed or concrete sites with power / various locations available / modern amenities including fully equipped laundry / bbq area / dump point for waste.